It's officially the holidays! Today I'm boarding a flight to go home to New Orleans with my dog and baby in tow. I'll be there for two weeks to celebrate Christmas and have a christening for Luke. I'm really excited. I look forward to the holidays all year. And it will be even more special now that we've got a little family of our own. 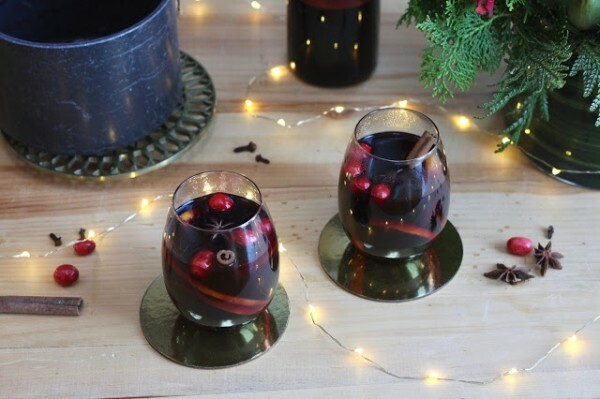 Of course the holidays wouldn't be complete without some festive cocktails. At my parents' house, it's not Christmas until my dad makes his famous eggnog - maybe one day I'll get permission to share the top-secret recipe. 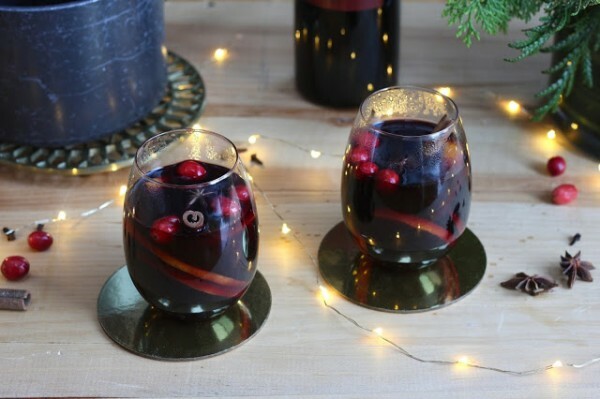 I don't have any Christmas cocktail traditions yet myself, but I'm thinking that this mulled wine might become one of them. 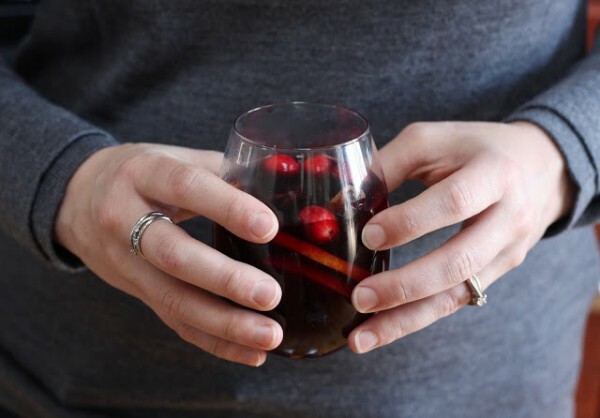 Particularly since Decembers in Boston call for much warmer cocktails than those in Louisiana. Until I made it myself, I had only had mulled wine a few times, usually at holiday parties. The one memorable exception was a cold and rainy afternoon in Krakow, Poland last May. We attended my husband's cousin's wedding and then spent some time in the city. I'm not sure what it's usually like in May, but last year it was extremely cold and damp, and we had not packed properly for it. After getting thoroughly wet and chilled, we ducked into a random pub to warm up. They had mulled wine on the menu and we immediately ordered two mugs. I don't think I've ever had anything more perfect. The most memorable drinking experiences are always more about the circumstances than the recipe. 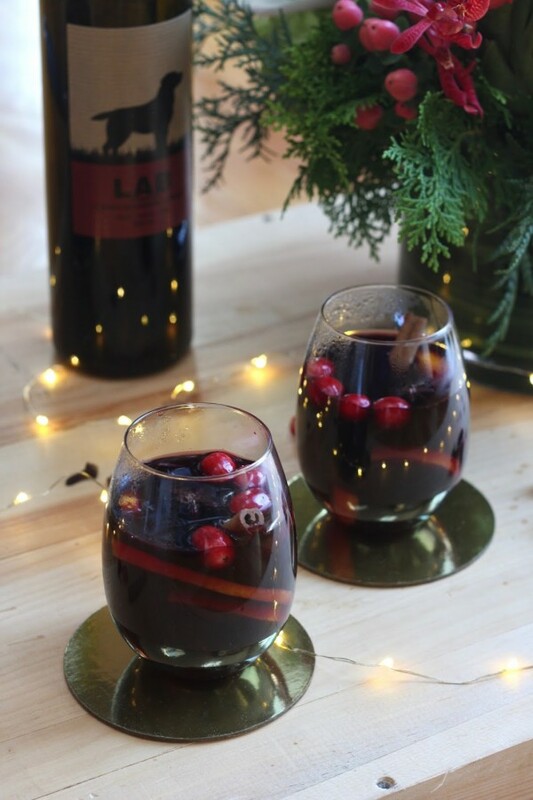 So, when we got our first snowfall this year, I decided to try my hand at making mulled wine. The baby gave me a wonderful excuse to get out of shoveling (suddenly those nine months of pregnancy seem totally worth it), but the least I could do was have a warm, spiritous beverage ready when my husband came in from the cold. And just like that dreary day in Krakow, it was absolutely perfect. This stuff positively warms the soul. I think I have my new Christmas tradition. Combine all ingredients except for brandy in a saucepan and simmer for 30 minutes. Remove from heat and add brandy. 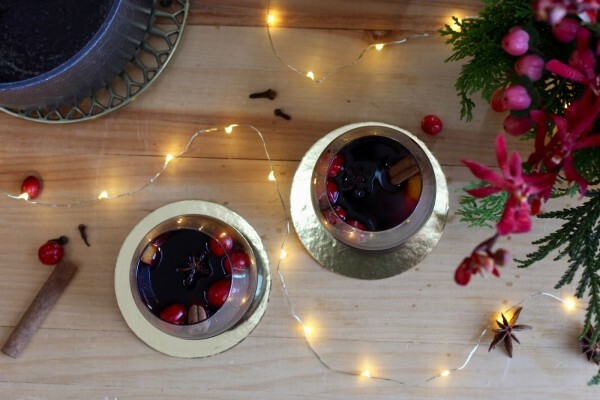 Serve hot, garnished with cranberries, a cinnamon stick, and star anise. This recipe is easily halved if you don't want to sacrifice a whole bottle to the cause or if, like me, you're only making it for two people.